As parents, we want the best for our kids, and overcoming obstacles to success is so important in the teen years. In today’s culture, there is huge pressure to succeed and both parents and teens feel it. So what causes our kids to fail? What roadblocks could stop them? In today’s Mighty Parenting podcast, Sandy Fowler and Judy Davis find out what parents of teens need to know as they interview Shannon Evans about overcoming obstacles to success. Listen in to discover how your parenting style impacts your kids and affects their resilience. Parenting is harder on some days than others, and it isn’t always because of our kids. When parents are depleted they tend to focus on everything that is not working well and they have a harder time simply finding their way through the day. Listen in as Judy and Sandy discuss the issue and share solutions to help you enjoy your life more. 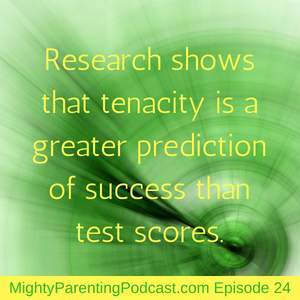 Research shows that tenacity is a greater prediction of success than test scores. Our kids don’t know how to fail without it derailing their whole life. We’ve created a culture where everyone has to be perfect; the perfect parent, the perfect child. Instead of happy, healthy, and resilient people we’re raising our kids to believe they have to be perfect. Because kids haven’t been prepared to fail early and often, they aren’t prepared to handle it in college and beyond. The gift of failure is when we cease to undermine our children, stop micro managing our children and allow them to play, fail, learn, and grow. In having the space for life to happen, kids learn valuable lessons and learn grit, becoming more capable and more confident. If you are having trouble with this, check inside yourself. Parents’ self-esteem and identity can get wrapped up in who our children are or are not. It’s a tough reality to look at within ourselves, but it can make or break our children’s future. Making our children the center of our identity puts incredible pressure on our kids as they carry the pressure of being responsible for your identity. Students who are involved in performance-based areas—athletes, band and orchestra, or high-achieving scholars, etc.—are especially susceptible to these issues as they may end up reaching for their parents’ dreams rather than their own. Conversation is key; helping kids learn to understand their feelings and communicate what is happening and what they need is essential. The kids need coping strategies. The parents need coping strategies. The parents need to feel empowered in their parenting skills. Parents need to empower our kids by creating safe places to have these conversations, then have the conversations. Parents and children can answer these questions then come together to talk about them. This can open up some great conversation and help parents see their children in a new light. Parents: What are your kids’ strengths? Child: What are the things in your life that you like or want that bring you great joy? Parents: What brings your child great joy? Parents: What brings you great joy about your child? When we do the things that fill us up, we function better and we have more patience. Filling us up means doing the things that actually give you energy and make you feel good so you can do things you want and need to do on a regular basis. We need to also take care of ourselves physically; eat well, drink plenty of water, and sleep enough to have the physical energy we need. Our feelings are indicators of what is working and what needs to be tweaked. When our energy is gone, it’s easy to stay focused on what’s not working in our life. We start picking at things, or people, or situations and put what little energy we have into fixing those when what we need to do is work on the root cause. How do you know if something you are doing actually “fills you up”? The things that fill us up will feel good when we do them AND leave us feeling better afterward. Shannon Evans is not your run-of-the-mill educator. 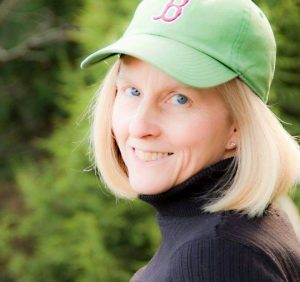 With more than 17 years as a teacher and coach (middle school, high school, and college) under her belt, she’s worked as an academic and admissions counselor for multiple colleges. She conducts workshops for students and parents with her Decision Matrix™. Her passion is helping students develop communication, autonomy, and “adulting” skills that will serve them as they go off to college to explore the opportunities and experiences that await them. In 2017 Shannon founded the Scholar Coach Academy to help families understand the college recruiting process for athletes and to teach them to leverage their athletic and academic skills so that they can get in the college that’s best for them with the best financial package possible. She focuses on helping families minimize the possibility of student debt for their child while helping kids pursue their passions.